To develop unique lead-up communications at events that demonstrate brand values and company personality in an engaging and memorable way. Show, don’t tell. A routine, pre-event mailer is transformed into a simple and useful tool that is highly pertinent to time and place. 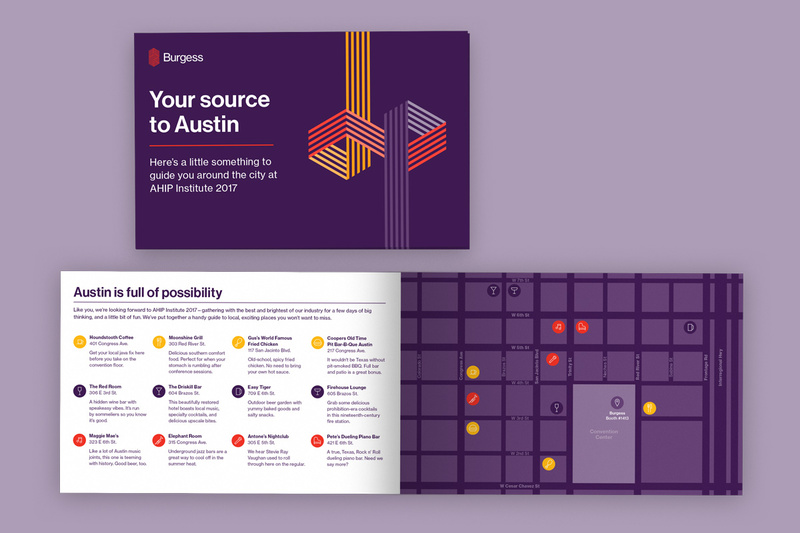 A fun map with recommendations for handy and exciting local places near the event venue demonstrates all the brand experience principles: shows we care, smooths the way, and expands horizons.